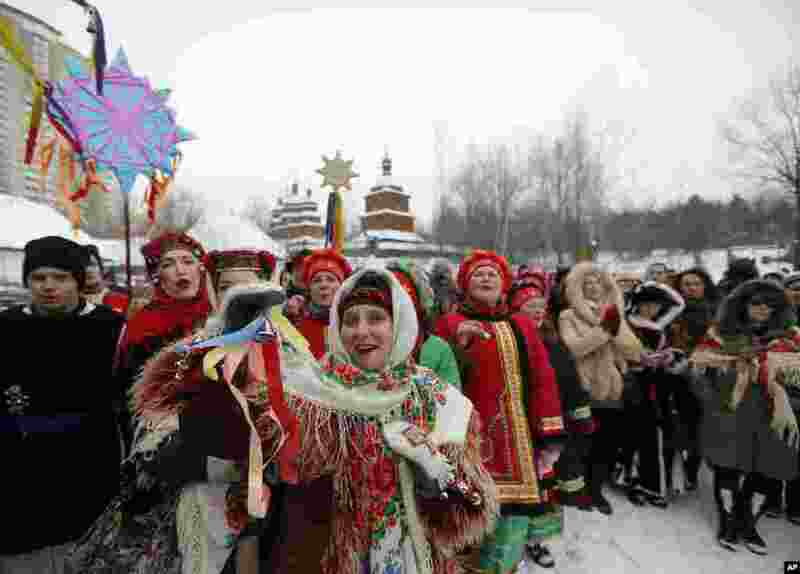 1 Ukrainians wearing traditional costumes sing Kolyadky or Ukrainian Christmas Carols, as a part of Orthodox Christmas in Kyiv. 2 French police check a pedestrian as they secure the area after a man was shot dead at a police station in the 18th district in Paris. Police shot dead a knife-wielding man who tried to enter a police station, police union sources said. 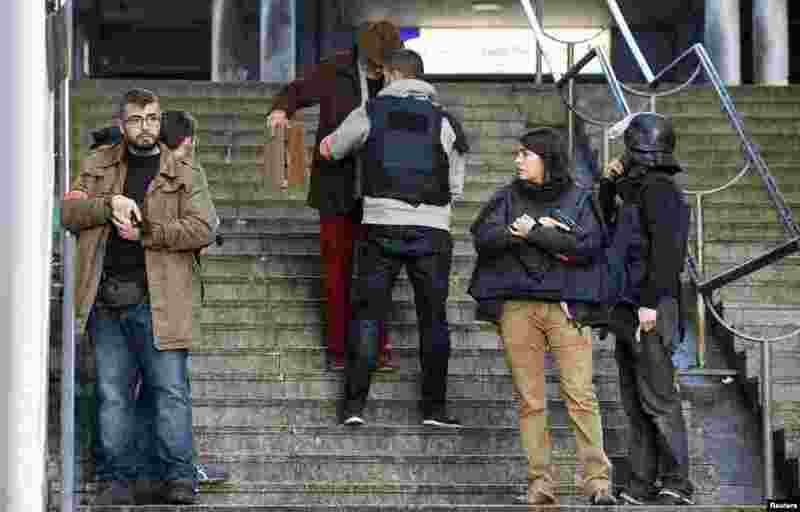 The incident took place on the anniversary of last year's deadly Islamist militant attacks on the Charlie Hebdo satirical magazine in the French capital. 3 A woman walks along a canal in Stockholm, Sweden. 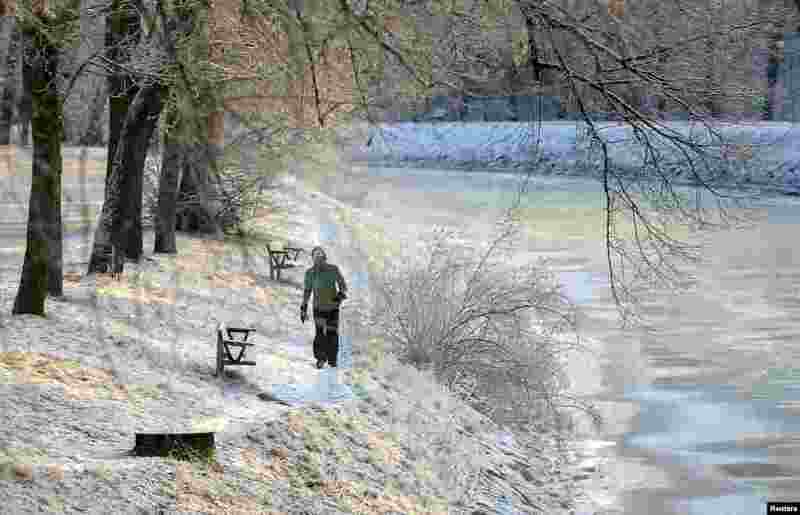 After an unusually warm December, Sweden was hit by the coldest January in fifteen years with -42.8º C (-45º F) in the far north and -15º C (5º F) in Stockholm. 4 ESA astronaut Tim Peake took this photograph over the west coast of Canada from the International Space Station on Dec. 31, 2015, and shared it with his Twitter followers on Jan. 5, 2016. 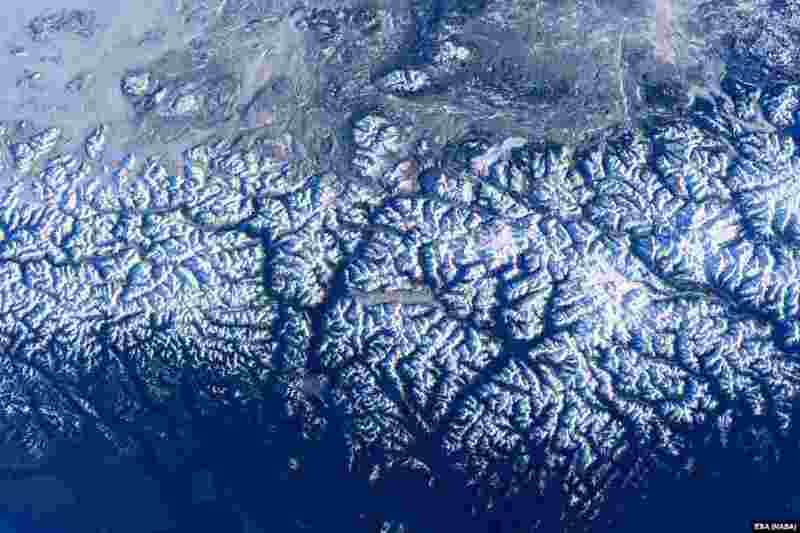 The photograph shows Canada's Coast Range of mountains, with King Island and Burke Channel in the center. The Pacific Ocean is visible at the bottom and north is to the left.